How Many Nintendo Switches Have Sold So Far? (Updated!) | Nerd Much? The Nintendo Switch has already proven itself to be a formidable contender in the console market. 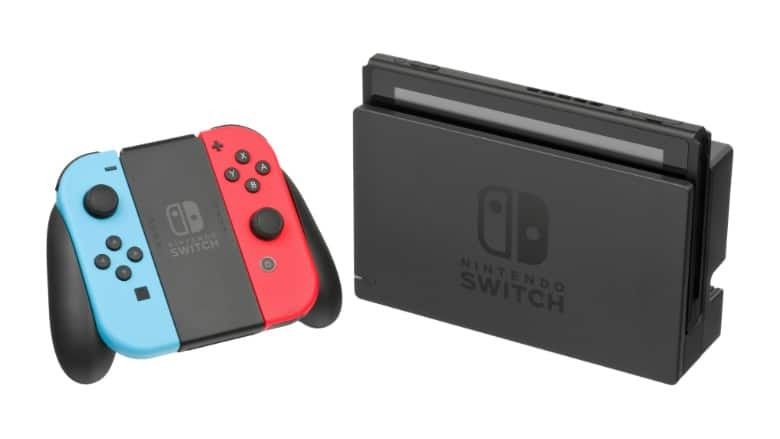 Half portable, half home system, the Switch has become the ideal piece of hardware for indie titles and gamers on the go. Because of that, sales have flourished. So how many Nintendo Switches have sold thus far? In just under 2 years, an impressive 32 million and counting. Part of Nintendo’s success with their new platform is due to the abundance of high-quality first party titles that have been offered exclusively to it. The publisher just recently announced updated figures on some of the system’s biggest sellers, and they’re quite impressive. The Wii U upgraded port, Mario Kart 8 Deluxe, leads all contenders in Nintendo Switch sales with an incredible 15.02 million units sold. Following not far behind is Super Mario Odyssey with a super 13.76 million games sold. Although it was just released a couple of months ago, Super Smash Bros. Ultimate has already sold 12.08 million copies. Over 3 million of those were bought in the first 3 days following release. Which lead to the title winning the month of December for all game sales. Following Ultimate is the adventure that lead the Switch toward its initial success, The Legend of Zelda: Breath of the Wild. Link’s latest saga resulted in 11.68 million units sold on Switch alone. The game also released for the Nintendo Wii U as well. Following Breath of the Wild are Pokémon: Let’s Go Pikachu and Pokémon: Let’s Go Eevee, which combined have resulted in 10 million copies sold since November. And just behind that duo is Splatoon 2 which has impressively sold 8.27 million copies. Another impressive stat from Nintendo notes that there are over 20 titles, including those from 3rd parties, that have shipped over 1 million copies on the Switch alone. Pretty, pretty good. 2019 looks to be another banner first party year for the Nintendo Switch. We may not be getting Metroid Prime 4, but it’s pretty safe to expect a few other big IPs this year. Animal Crossing, the next mainline Pokémon games, Fire Emblem: Three Houses and Luigi’s Mansion 3 are all confirmed to arrive this year. New Super Mario Bros. U Deluxe dropped a couple weeks ago and Yoshi’s Crafted World is coming in March. Want to know what other games are coming to the Switch later this year? Check out our mega list of the 25 best upcoming Switch games of 2019.